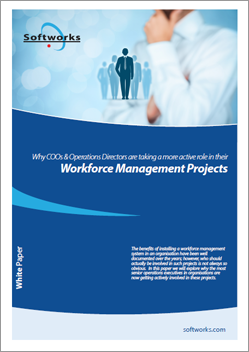 Why COO's and Operations Directors are taking a more active role in Workforce Management Projects. The benefits of installing a workforce management system in an organisation have been well documented over the years; however, who should actually be involved in such projects is not always so obvious. In this paper we will explore why the most senior operations executives in organisations are now getting actively involved in these projects.